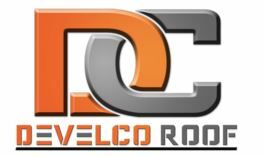 Develco Roof Coatings are coatings certified and approved applicators in Southern Alberta, Canada. Their rubber roof membranes are applicable not only on commercial or residential roof applications, but also on RV roof restorations, vehicle undercoating, and oil field coatings. They also install foundation liquid membrane waterproof coatings.